Item Number: 534-3-220 16531 Actual Weight: 3.5 lbs. Superior cushioning, maximum protection, and excellent durability. 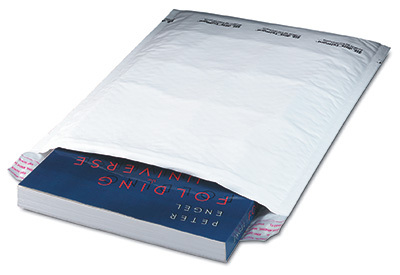 Moisture-, puncture-, and tear-resistant mailers constructed of multi-layer co-extruded film. 1/8" thick Bubble Wrap® Brand material protects products during shipping. Self-sealing flap creates a tamper-evident seal. Inside dimensions are slightly smaller. Contains 10% pre-consumer recycled plastics. Available in dispenser convenience packs that ship UPS Standard Ground.